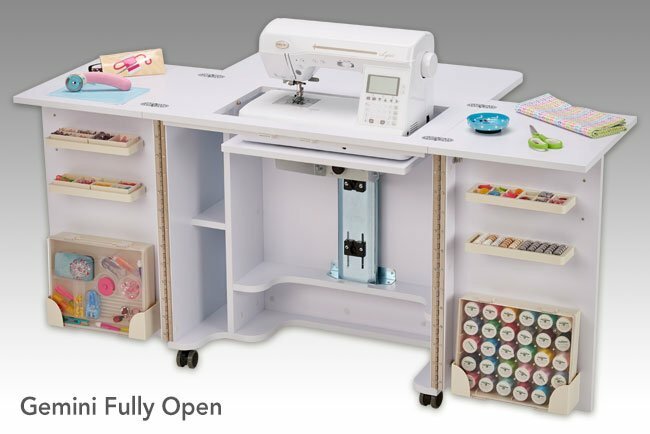 This compact unit opens up to reveal a spacious sewing cabinet ideal for smaller studios. With snag-free storage compartments and shelves, you will have a more accessible and functional work space to create the ultimate masterpiece. A fantastic unit for those who want everything all in the one area but are limited by space. With all the benefits of specialised storage and a back leaf to keep your projects off the floor this unit is sure to impress.